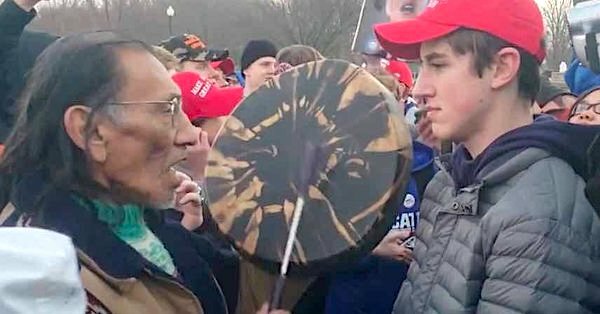 Lawyers for Covington High School student Nick Sandmann have warned establishment media outlets, lawmakers and celebrities they must correct their accounts and claims about the incident at the Lincoln Memorial after the recent March for Life or face legal action. The Daily Caller reported the recipients of letters from Sandmann’s attorneys include CNN, the New York Times, the Washington Post, actress Alyssa Milano, television host Bill Maher, actor Jim Carrey and Sen. Elizabeth Warren, D-Mass. The lawyers assert they completely misrepresented the confrontation between Sandmann and a Native American activist last month. “It is the first step in a potential and far-reaching libel and defamation suit,” the report said. The Daily Caller noted the Catholic youths were vilified when they were shown on camera wearing “Make America Great Again” hats after participating in the Jan. 18 March for Life rally. The report explained the letters ask the media outlets and celebrities to preserve any documents and other materials related to the incident. One of the lawyers, L. Lin Wood, posted a video recounting how the students were victimized by activists while they were waiting for their buses following the March for Life. Then, the video states, they were victimized again by a video that cast them in an incorrect light. WND reported Kenton County prosecutor Rob Sanders wants anyone who made terroristic threats against the Covington Catholic High School students held accountable. Sanders said his office already has issued grand jury subpoenas and is working on search warrants for detectives in other agencies. The Kentucky school closed for a day because of security concerns the day after the incident.